Ms. FitzGerald’s practice is focused on commercial and civil litigation with an emphasis on business litigation, personal injury, and real estate litigation. Ms. FitzGerald represents individuals and businesses in cases involving business torts, unfair business practices, breach of contract, negligence and fraud. Prior to joining FitzGerald Yap & Kreditor, Ms. FitzGerald worked on a wide array of litigation matters, including several years litigating construction, insurance and professional responsibility matters. 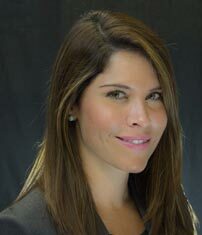 In addition, she has experience advising and assisting institutional lenders in matters involving restructuring distressed loans and in pursuing judicial and non-judicial foreclosures and other creditors’ rights related matters. University of San Francisco, San Francisco, California, 2008 J.D. Pepperdine University, Malibu, California, 2004, B.S.